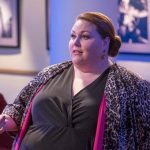 Who doesn’t know actress Chrissy Metz? Chrissy plays the loveable “Kate Pearson” from NBC’s “This is Us” and she chatted with Stash today about her new book “This is Me” and of course the new season. Tune in Tuesday at 9pm for the return of this tear-jerking series!